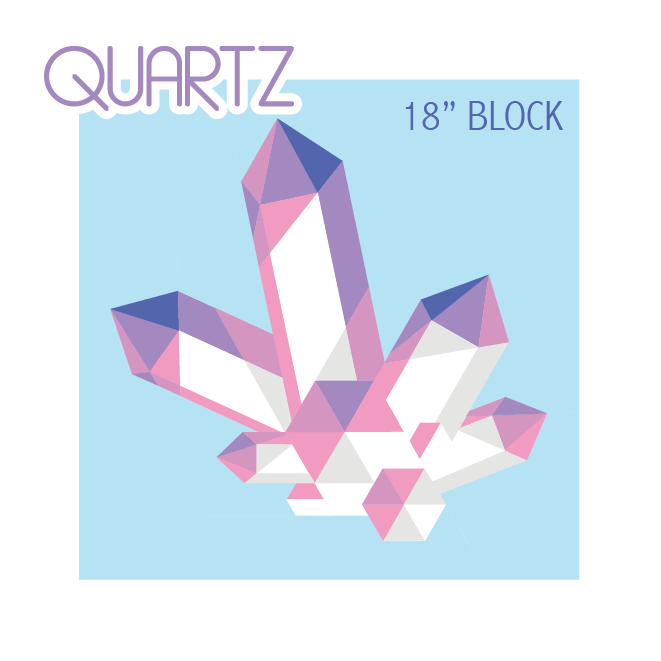 This digital PDF pattern is for a foundation paper pieced 18" finished block depicting a quartz crystal cluster. The pattern assumes previous paper piecing experience as paper piecing instructions are not included. The 12-page pattern includes four pages detailing the order of piecing with diagrams and colouring worksheet, and eight pages of templates including 1/4" seam allowance. You will require a printer to print the pattern and glue or tape to assemble the pieces. The PDF is formatted to work on both letter and A4 paper. To ensure your pattern has printed correctly, be sure to measure the test square before you start sewing. The pattern is in color but is equally effective if printed in black and white only.